I didn’t expect I’d enjoy this show so much! Congratulations to RTW brands Bench, Human and Kashieca for successfully opening this season’s Philippine Fashion Week. First up, Human. They showed 2 collections. I want this jacket from the 1st collection! 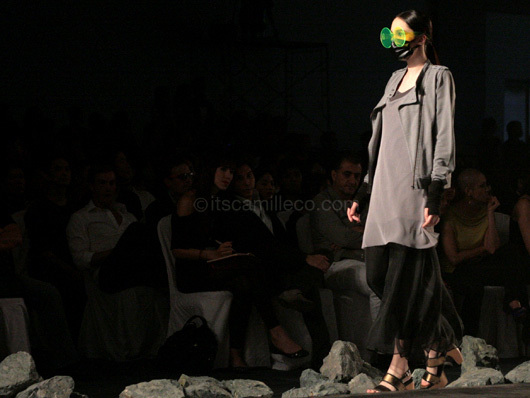 Black, white and gray was the theme for the 2nd collection. The next to show was Kashieca. In usual Kashieca fashion, the collection was simple and feminine. That’s Kashieca’s current celelbrity endorser, Bea Alonzo, in the middle. They showed a lot of nautical-inspired pieces like this. For those looking for palazzo pants, Kashieca has a few pairs too. They’re quite long too! Here’s Bea Alonzo again to close the show for Kashieca. Last but not the least, super brand Bench! 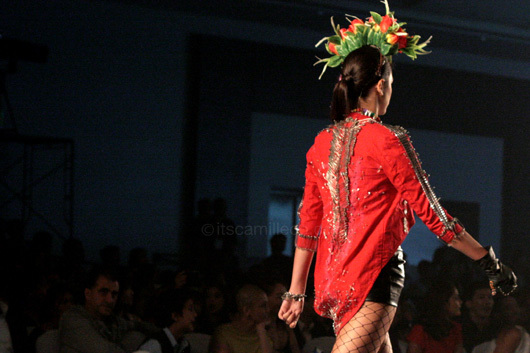 The first collection they showed was the Randy Ortiz for Bench or ROB collection. I love this AVP they played before the models walked the runway. I felt like I was staring into a kaleidoscope, except the images are models with body art all over them. 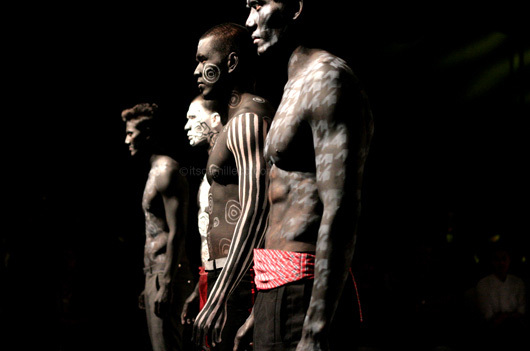 4 male models in body paint opened the show. Love the prints! They’re actually the same prints you’ll find in Randy Ortiz’ collection for Bench. The next generation models in quirky printed polo shirts and draped sheer skirts. I need these skirts! One of my favorite shirts from the collection–stripes+polka dots! Feast your eyes on just some of Bench’s hottest celebrity endorsers headlined by Kim Chiu. I love the shirt on her too! Couple Borgy Manotoc and Georgina Wilson. So cute! I love the 1950s vibe! I don’t know what I love more, the brown leather detachable collar or the quirky cardigan! Some more of Bench’s celebrity endorsers. 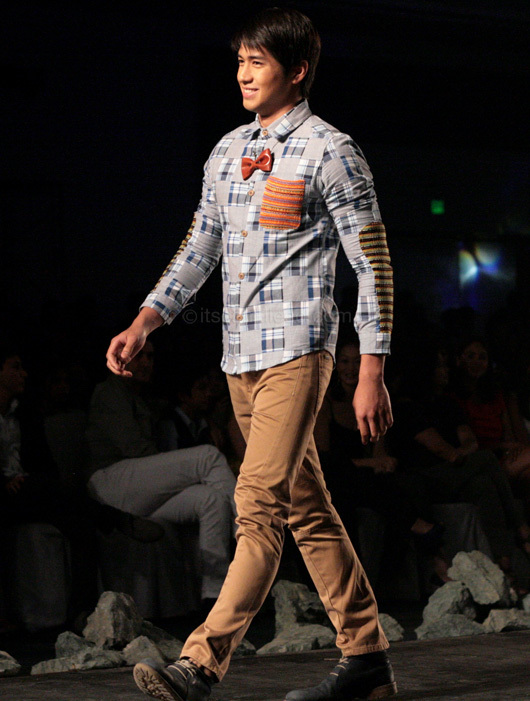 I love the metal bow tie on Enchong Dee! There were actually plenty of other cute accessories like that and unique detachable collars during the show. They matched the quirky shirts and polos so well! Overall, I loved Randy Ortiz’ collection for Bench the most. The cute mix of charming prints and bright colors as accents won me over. That and the lovely maxi skirts!